In this week’s episode, Ray Mears takes to his canoe to explore the atmospheric lowland wetlands of Somerset. This beautiful habitat is one of the largest feeding grounds for wildlife in Europe. Ray spots egrets hunting for food, before searching for food himself when he gathers reedmace pollen to make a tasty pancake. He also finds a colony of young herons nesting in nearby woodland and takes a close look at the striking but ferocious emperor dragonfly, a creature that has remained unchanged for 250 million years. But the highlight of the trip for Ray has to be catching a glimpse of an otter gliding through the water at dusk. 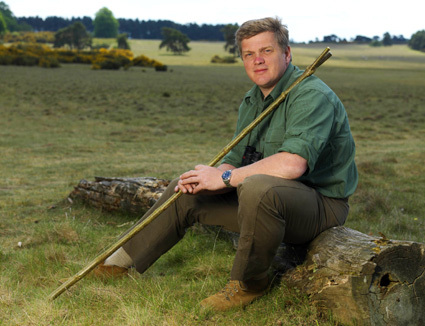 This entry was posted in Ray Mears on October 29, 2010 by Woodlore Team.